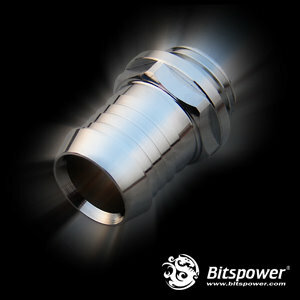 The Bitspower Premium G1/4" High Flow 1/2" Fitting AKA the "Fat Boy" in some circles brings a large ID bore for high flow and lower pressure drop compared to other fittings. Designed with a G 1/4 BSPP straight thread and hidden O-Ring. This fitting shines above the rest. Use in any G 1/4 BSPP port. Black Sparkle Finish.